Nearly every single trip made by nearly every single person on the planet begins and ends with walking. I myself left car-centric California for the (mostly) pedestrian-oriented streets of Chicago. Since I gave up my car, I walk, take transit, and ride a bike to get around the city. While walking is not my sole (see what I did there?) form of transportation, it really irks me when the actions of others not only inconvenience me but also put me in danger. Thus, I continue the “Ped-Peeves” series. You can also read Sidewalk Rage I, Sidewalk Rage II, and Sidewalk Rage III. Ped-Peeve #10 – Double Wides. Although I don’t even have a baby, let alone many babies that would necessitate a multi-baby stroller, my childless self believes that double wide strollers are completely unacceptable on city sidewalks. And it appears that I am not alone on this topic (google: “double wide evil”). 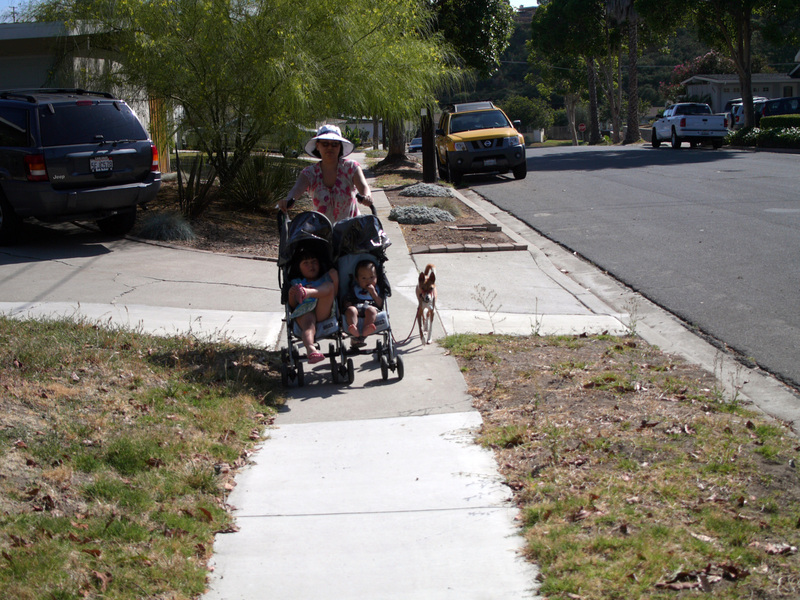 The average sidewalk, per ADA requirements, are 5 feet wide. Yet most double-wide strollers take up the majority of this space. Take, for example, the popular double-wide Bob stroller (the single-wide is a favorite amongst my mommy running friends). This smooth rolling, baby-pushing mechanism comes in at cool 31 inches in width. That’s over half the sidewalk. Add in the necessary buffers so as not to roll into traffic or parkways, and you’ve got complete stroller sidewalk takeover. Then factor into the equation that the mother/father/caretaker is overseeing two young children, managing the stress of daily life, and navigating busy city streets, and it’s a recipe for, “I will mow down anyone in my way!” behavior. This means that must I either jump into the streets or someone’s yard to avoid being steamrolled as a double wide comes by. Now I understand the need to transport your tots, but may I suggest a double-long stroller? Ped-Peeve #11 – Unshoveled Sidewalks. Dear neighbors and business owners that don’t shovel your sidewalks: I hate you. Maybe “hate” is too strong a word; nevertheless, given the vast amounts of snow that have covered the Midwest and completely buried Boston, sidewalk shoveling is essential. 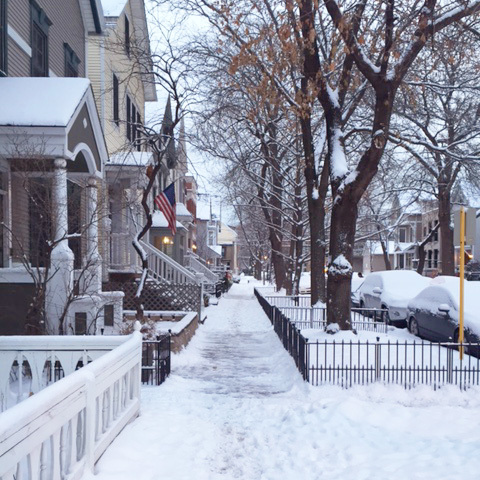 In Chicago, under Municipal Code 4-4-310 & 10-8-180, property owners and occupants are responsible for keeping sidewalks clear of snow and ice. Sadly, many property owners do comply and the code is rarely enforced. Many of my neighbors and myself rely on walking and transit as our primary way to get around, and without a wide, clear path through snow and ice, the simple act of being a pedestrian becomes a difficult and dangerous endeavor. But for me, it’s not simply the unshoveled sidewalks that bother me, but a greater issue of people not being connected to their neighbors or neighborhood. Sidewalks are public space. They are a place where I run into friends and greet neighbors. I’ve rarely, if ever, have seen any of the people that live in the houses with unshoveled sidewalks. This is because these residents who live in million dollar homes amidst humble multi-flats like mine generally commute and run errands by car. They go from their house to their garage, never setting foot on the sidewalk in front of their home. They do not see the kids going to school who are struggling over mounds of built-up snow, don’t know the names of the adorable greyhounds that walk past every morning, and have no idea that they have shut themselves off from the neighborhood. Being a pedestrian and property owner means being part of a community and understanding that having shoveled sidewalks matters to all of us. Shoveled and unshoveled sidewalk obstacle course.